As I posted yesterday in Cheesy Sausage Balls, we had some friends over for tapas last weekend. One of the things I wanted to do was make a signature, keto friendly cocktail. 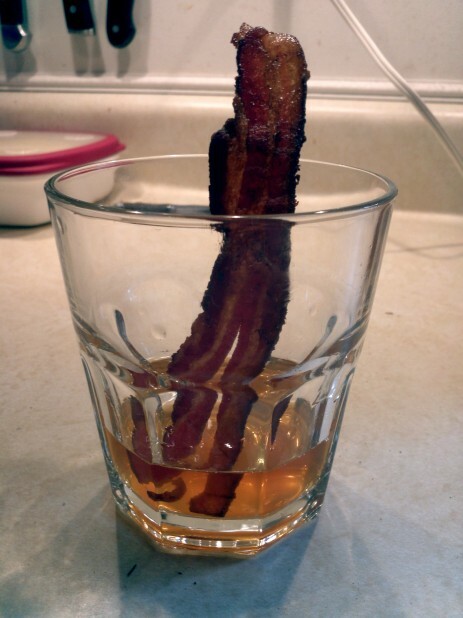 What’s more keto than Bourbon and Bacon? Here is resulting cocktail! 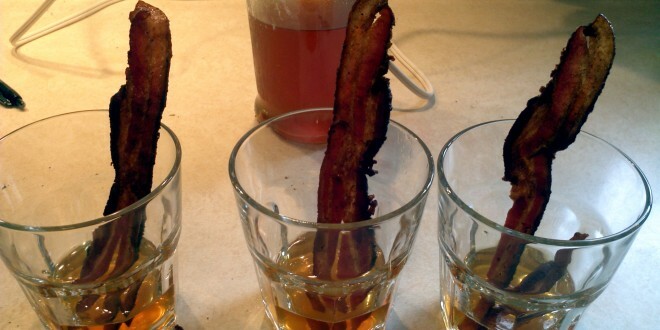 I used a method called fat-washing to infuse the bourbon with a bacon flavor and put a piece of bacon into the cup. Start with a 750 ml bottle of bourbon and pour it into a large measuring cup. 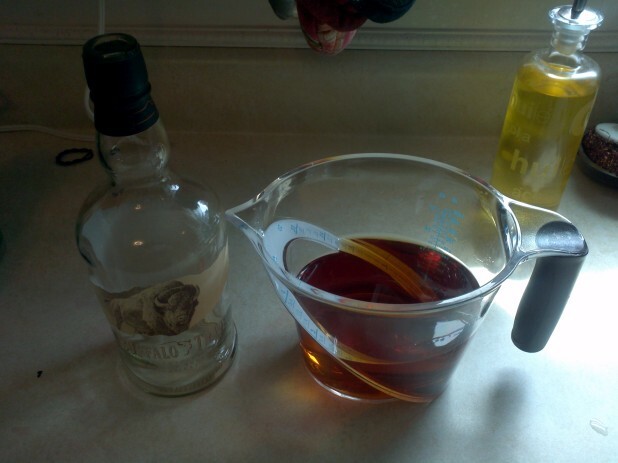 Add 1/3 of a cup of bacon grease to the bourbon and mix. 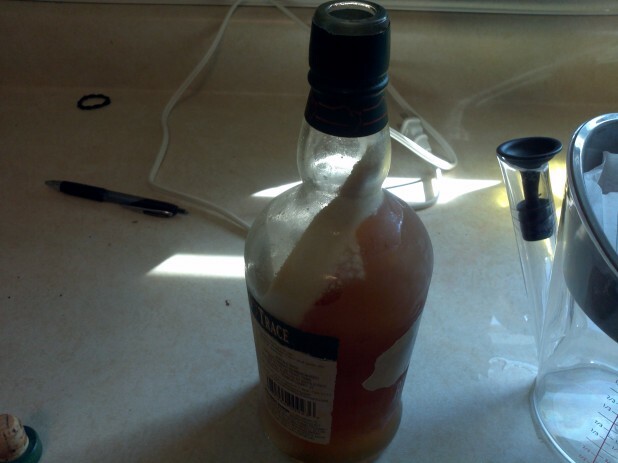 Place the bacon and bourbon in the freezer. I made the mistake of putting the bourbon and bacon grease bacon into the container. If I were you, I would leave it in the measuring cup so it is easier to separate out. The next step is to discard the fat layer and filter out the fat. I used a coffee filter. 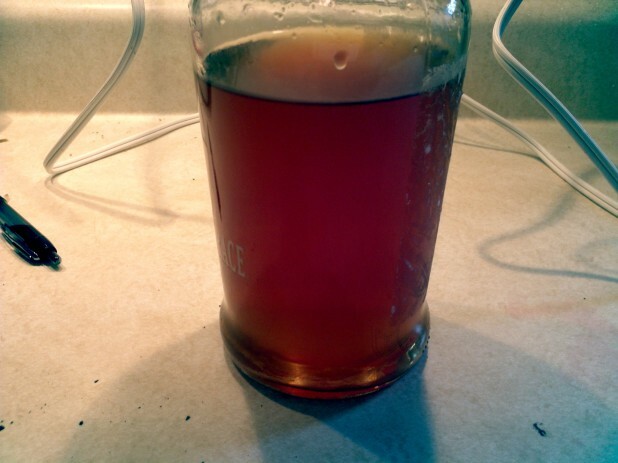 Here is the finished Bacon infused Bourbon! 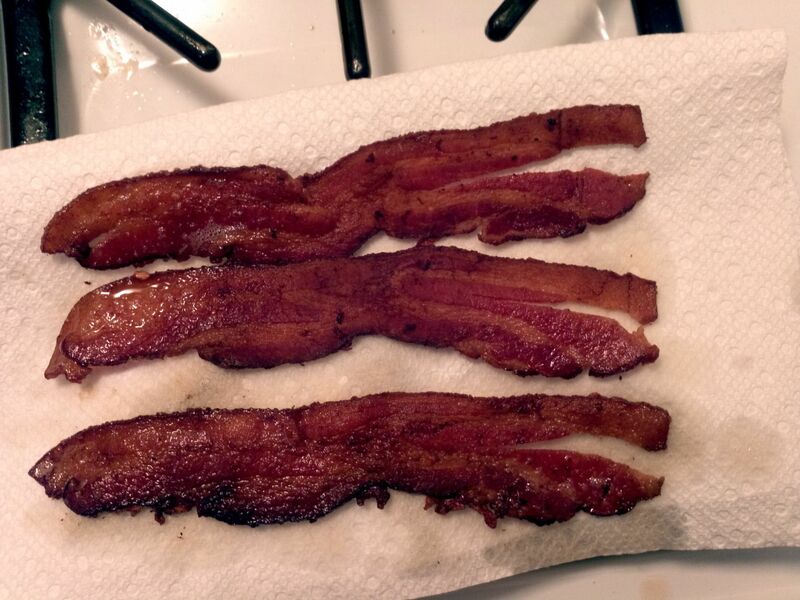 For garnishment cook some bacon until crisp. I tried to cut a slit into the edge of it to place it on the edge of the glass but it didn’t hold. I ended up just placing it in the glass but I think it looked good! Everyone really enjoyed the cocktails and I think they had a really good keto twist! Hmm, just keep in mind that drinking taxes the liver, while it is processing the bourbon, mmmmmmmmm bourbon, anyway, while it is processing that it cannot process much else. So go easy on the bourbon. I dig this! 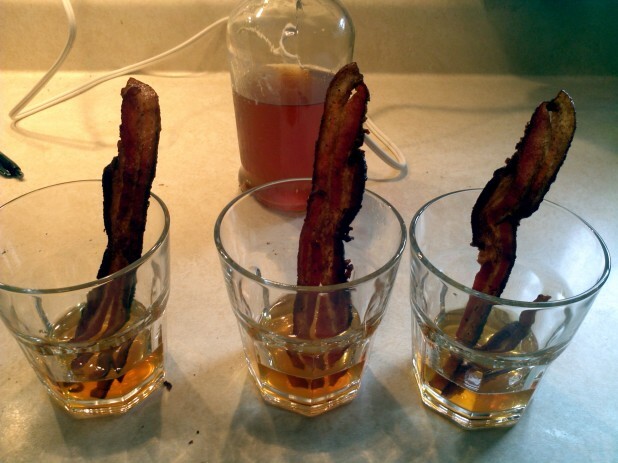 As a Paleo eater, and lover of both bacon and bourbon, this is perfect! 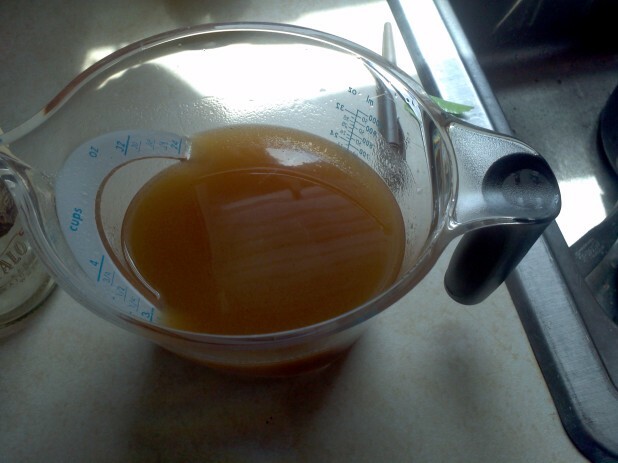 I also think that the fat washing process is pretty clever in how low-tech it is to infuse the flavor. Great job! I look forward to the shock value the next time I serve this to friends!